Iran's Foreign Minister Mohammad Javad Zarif said the nation is prepared to resume its nuclear program if the United States reinstates sanctions. Appearing on the CBS program Face the Nation Sunday, Zarif said Iran is weighing multiple courses of action if President Donald Trump and his administration follow through on a campaign promise to back out of the Joint Commission Plan of Action, also known as the Iran nuclear deal. 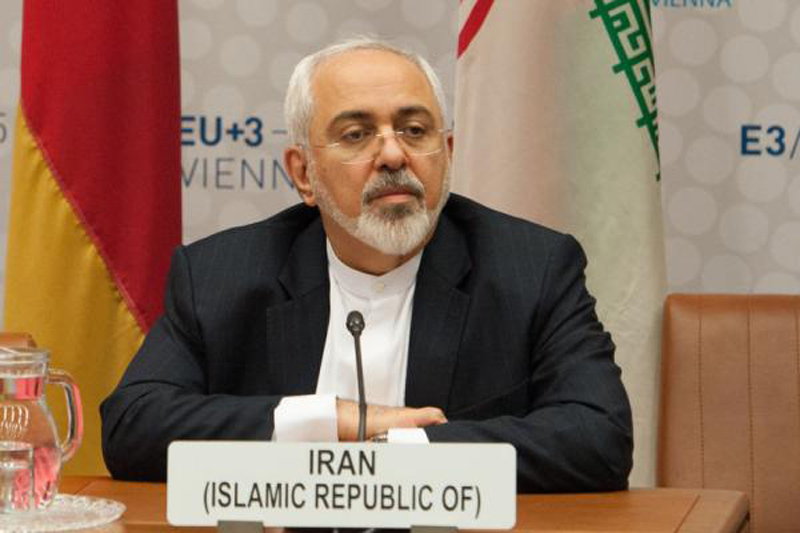 "We have put a number of options for ourselves, and those options are ready," Zarif said. "Including options that would involve resuming at a much greater speed our nuclear activities." Zarif spent two years working with former President Barack Obama's administration to establish the JCPOA, which granted Iran gradual sanctions relief, in exchange for evidence the country would disassemble its nuclear sites. France, Germany, Britain, China, Russia and the European Union also signed the JCPOA and French President Emmanuel Macron has been encouraged to try to dissuade Trump from his plan to back out of the deal by May 12. In January, Trump said he was extending sanctions relief to Iran for the last time, adding the deal "gave Iran far too much in exchange for far too little. The enormous financial windfall the Iranian regime received because of the deal -- access to more than $100 billion, including $1.8 billion in cash -- has not been used to better the lives of the Iranian people." Zarif said Iran has no plans to end the deal, but will exercise its options -- including resuming its nuclear program -- if the United States follows through on plans to back out. "We will not be the first to violate the accord, but they should definitely know that they will regret it if they violate it," he said. Zarif added it is "highly unlikely" that Iran would work out a version of the nuclear deal with Europeans and other nations if the United States were to back out. "It is important for Iran to receive the benefits of the agreement, and there is no way that Iran would do a one-sided implementation of the agreement," he said. "And it would require a major effort because right now, with the United States ostensibly in the agreement, a lot has been lacking in terms of Iran benefitting from the deal."